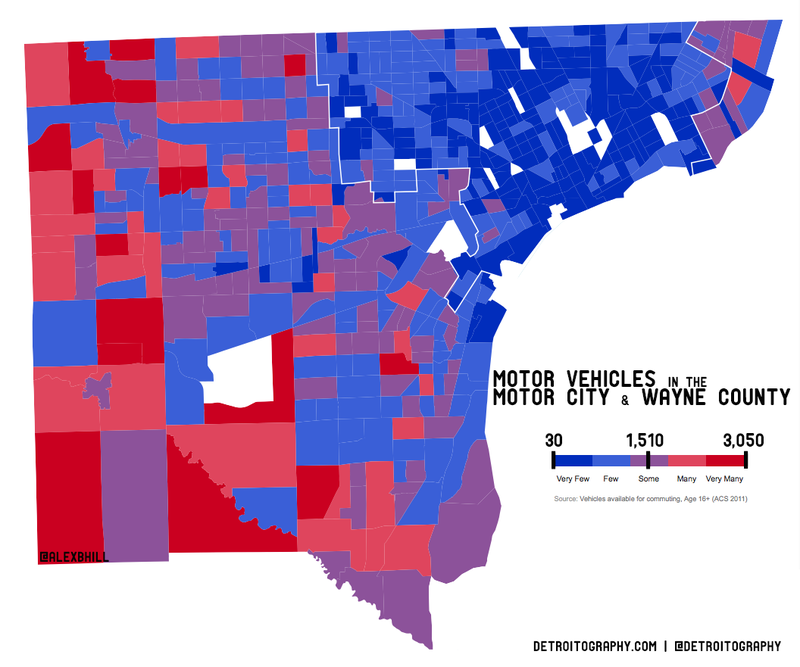 Just within Wayne County where the City of Detroit is located there is a significant divide in vehicle ownership. This in the city where Henry Ford revolutionized motor vehicle production as well as motor vehicle ownership affordability. A notable difficulty in motor vehicle ownership is the high cost of auto insurance (one of Duggan’s campaign topics) in Detroit as compared to the suburbs. 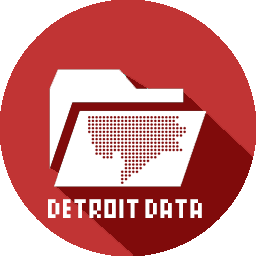 However, there is also a high percentage of unemployment, poverty, and low property values that only add to the difficulty for many Detroit residents to own a motor vehicle. This map demonstrates a serious need for improved and innovative public transit in the City of Detroit that also connects to the suburbs to help Detroit residents get around, get to jobs and reduces the number of cars/ traffic from the suburbs. This is a side thought, but since a very minor amount of revenue from the Auto Industry actually benefits the residents of Detroit maybe the dollars from the private NAIAS Charity Preview could be funneled into the new Regional Transit Authority (RTA) which is in serious need of funding. Just forget the fact that promoting public transit is against the corporate interests of those who produce individualized transportation vehicles. While I support your point, I think the map should also include population densities. In many of these block groups or perhaps tracts, there is a very low population so there will obviously be a lower number of registered vehicles. Perhaps population was considered in this analysis and I’m wrong. I think you’d see a similar results when considering population, I just don’t really think it would be as pronounced in the downtown areas.